The Aeroplane Factory has several different means of forming metal, depending upon the shape of the metal that the job requires.. If your metal is to be bent along a straight line with a given radius of bend, our Promecam Press Brake is the machine that will do the job. 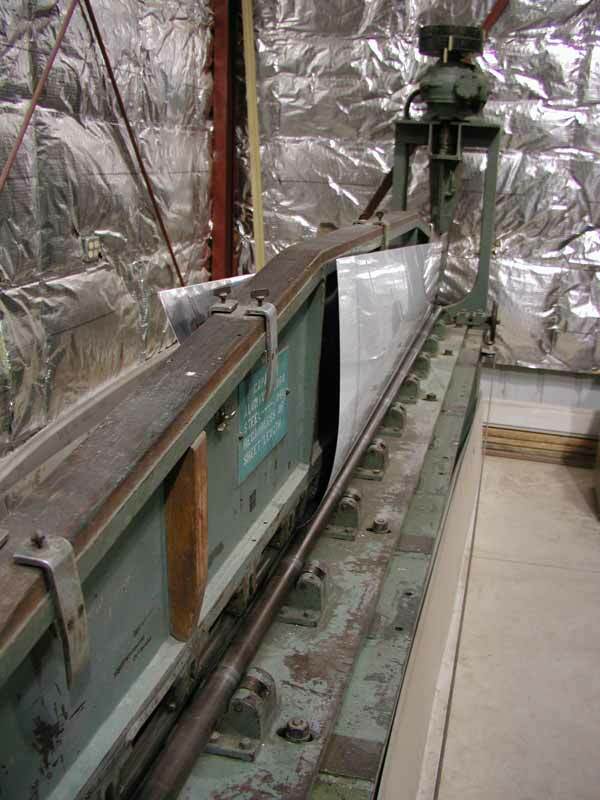 This Press Brake can bend metal up to ten feet in length. We have a selection of dies and punches that will make the desired bend radius. 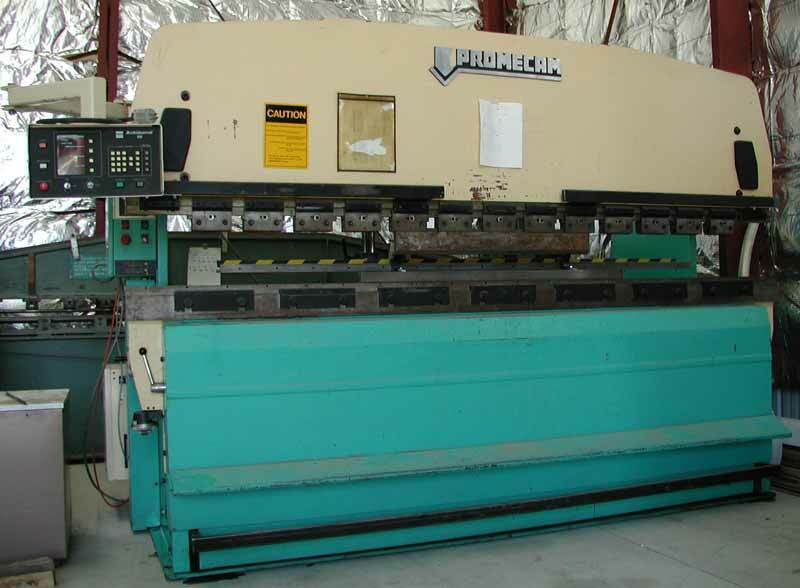 For smaller parts we also have a four foot Chicago Press Brake. This is technically a pyramid rolling machine. It is sometimes referred to as a contour roll or a leading edge roll. 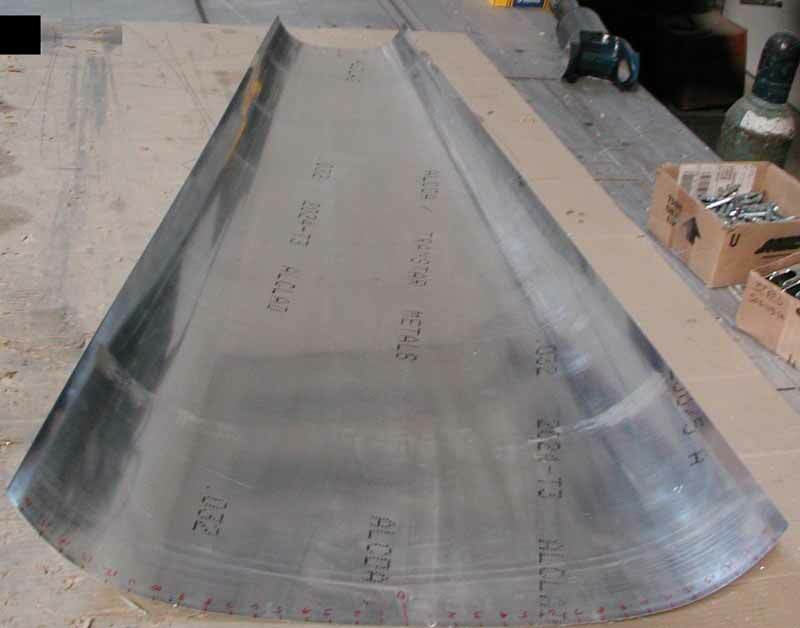 It was designed to roll aircraft wing leading edges but it can do more than just that one job. The Farnham Roll is a manual machine with no "set rules" for it's operation. The lower rolls can be moved closer or farther apart to adjust the radius of the bend. The upper roller moves up and down, though not necessarily parallel to the lower rolls. There are indicator wheels on each end that provide the height of the roller at the end of the machine. Each shape must be individually established and can be a time-consuming operation. 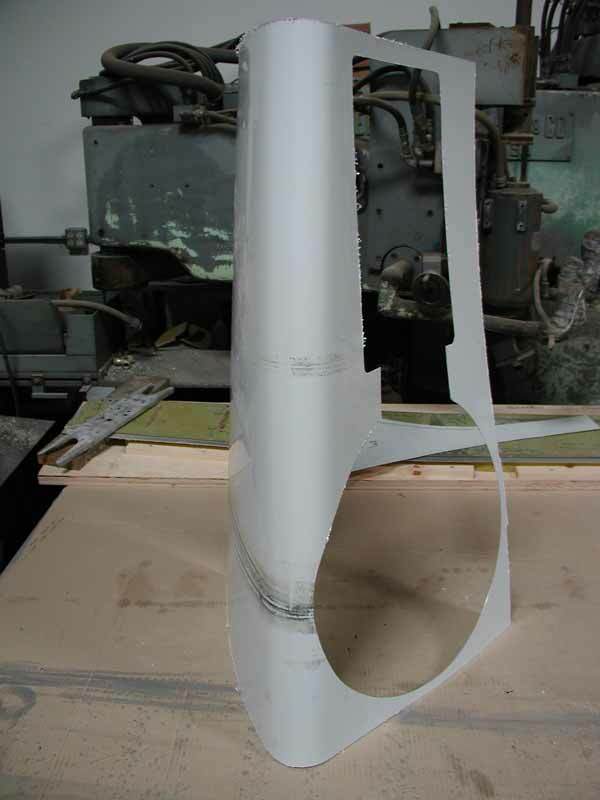 Once the position of the rolls is established to produce the desired shape, a part can be easily duplicated. Records of the setting required to produce each part are kept so that future set-up time is reduced.The Farnham Roll can also produce tapered parts. 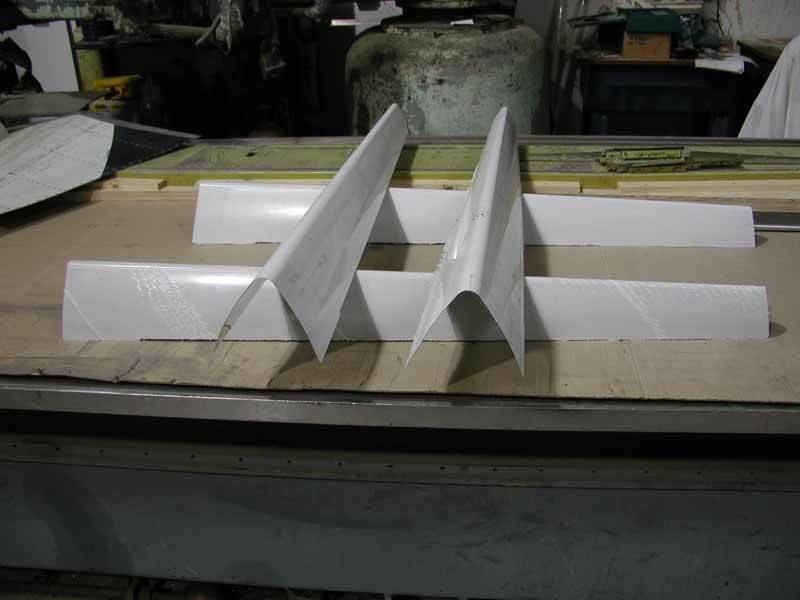 The Aeroplane Factory has had several contracts for non-Swift parts which have required the use of our Farnham Roll. Some examples include wing, slot and flap leading edges for the Lockheed C-5. 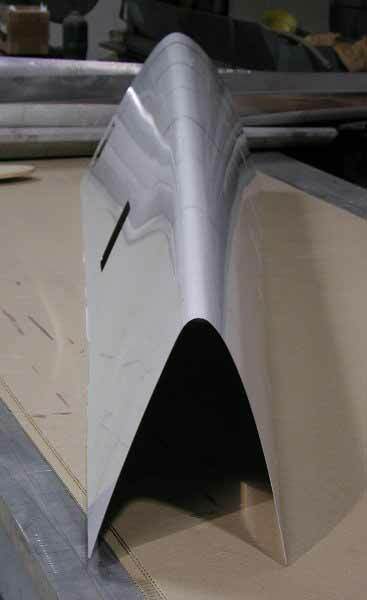 These C-5 parts required outer and inner skins with bonded honeycomb between the surfaces. 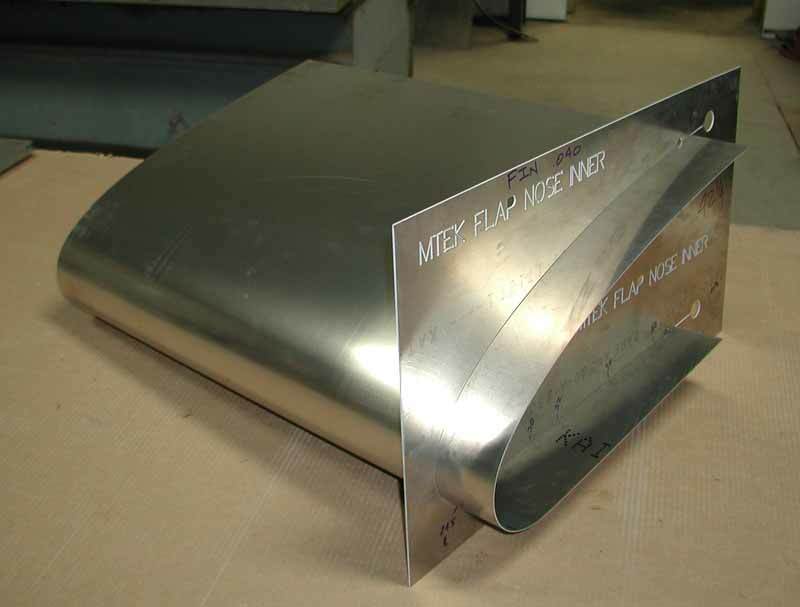 We have also formed rolled sheet metal parts for companies who provide the patterns and specifications for the parts. This is a hand-operated machine used primarily to form compound curves in sheet metal parts. It operates on the principle of stretching metal in a localized area. 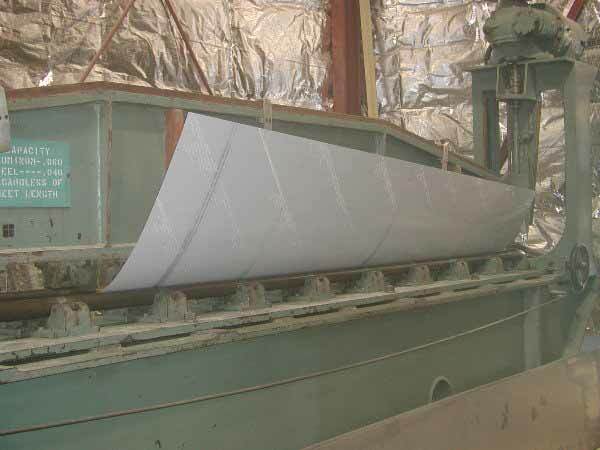 The material is rolled between upper and lower rollers that cause stretching of the metal where the two rollers are in closest contact. There are several sources for instructional articles, videos and courses on the use of the English Wheel but it takes considerable personal experience to gain a real understanding of the intricacies of the forming process. Each forming project provides another learning opportunity. 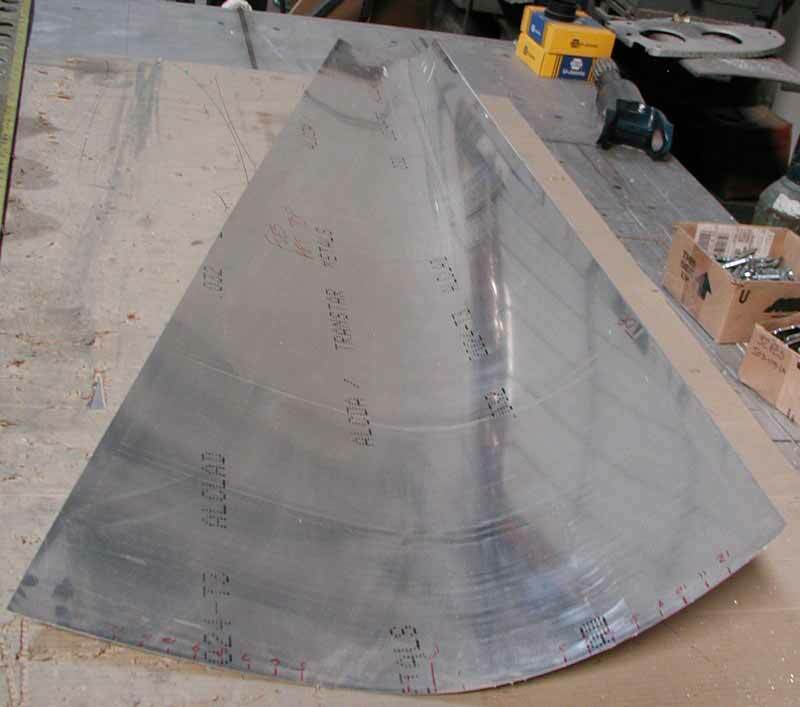 The Aeroplane Factory has used the English Wheel to form the compound curves of the front lower fuselage skins of the Globe Swift and to smooth damaged fuselage and engine cowling skins. The Rubber Pad Press forms sheet metal parts by press-forming a part over a male die with a rubber pad acting as the conforming female die. This process is often referred to as Hydroforming which is actually a similar process which uses a different forming method. The rubber pad is contained in a metal box that just fits around a lower platen. The material blank is placed on the male die and the die and blank are placed on the lower platen. Activating the press causes the rubber pad to lower and contact the material blank, pressing the blank onto the male die as the rubber pad conforms to the male die upper surface. 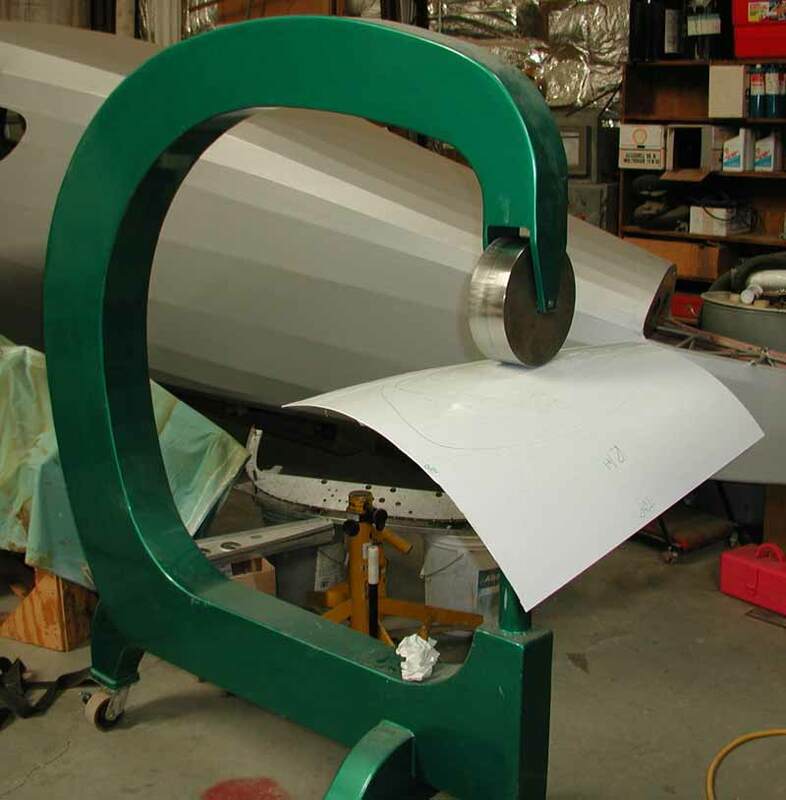 The Aeroplane Factory's Rubber Pad Press has a 36" square lower platen and is capable of producing over 600 tons of pressure. 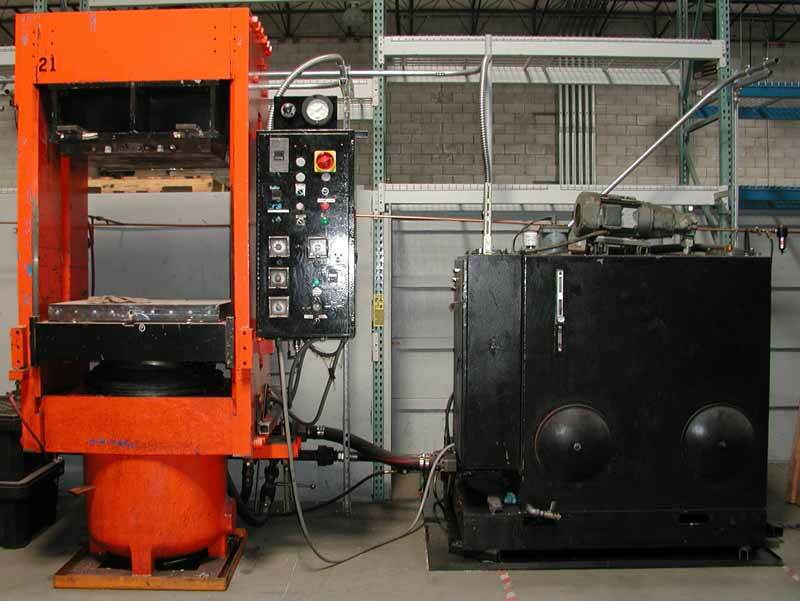 This press is capable of forming aircraft parts such as wing ribs as well as horizontal and vertical stabilizer ribs and caps or any other part that will fit within the lower platen dimensions.